We are fortunate to have two different styles of Sunday Morning worship to choose from each week. At 9:00 we have a classic service which allows guests and members to reverently worship our Lord and Savior with hymns of praise and a biblical message. For those with infants and younger children, nursery care is lovingly provided by a selected and trained staff. Our 11:00 service is an alternative style of worship and praise for guests and members. The biblical message is similar to that of the classic service and is accompanied by newer songs of praise. Nursery care is lovingly provided by a selected and trained staff for infants and younger children, with older children attending our Children's Church program and 6th-8th grades attending Youth Connection. Snacks and beverages are provided after each service, and you are encouraged to visit with your church family. It is this familiarity that builds strength in our church and community. 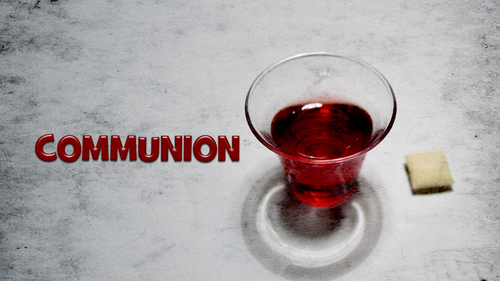 Laketon Bethel offers Open Communion the first Sunday of the following months: February, April, June, August, October and December. Everyone goes through times where enthusiasm for life melts away. We all have times where our faith diminishes. Worship on Sunday renews faith and energizes attitudes for all of life. Face it. You don’t pray much. Church services remind you of the importance of prayer. They jump start your prayer life. You learn more about prayer. When your family is with you, they see you praying and that is an example that changes lives. Songs of faith can move mountains of despair. You probably won’t like all the songs. But some of them will change your life. You will often find ways to help in your community. When you help, it reduces inherent narcissism. You think less of yourself and more of others. You become more grateful for what you have. You become a better person and a happier one. Yes. Put in some money. Do something with your cash for God instead of for yourself. Don’t expect anything back and you will be surprised at how blessed you are. We all waste money. Here you have an opportunity to do something positive with it. Connect with other people. Laketon Bethel accepts everyone, including you. Many friendships are made on a regular basis. We have great coffee and cookies, which help in all sorts of discussions. The guy up front is trained and experienced and often knows what he is talking about. You will learn something every Sunday. When you put what you learn into practice, you will find positive changes in your life. You will have unstoppable growth in ways you don’t always expect. The church exists because of Jesus. When you participate in it regularly, he is pleased. One day you will meet him face-to-face. If you regularly connect with him through weekly worship services, that meeting will be happy.